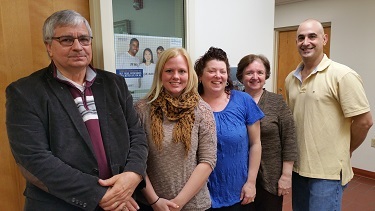 The Center for Hearing and Deaf Services Westmoreland (HDSW) location was established in 1982. It has a long history of serving persons who are culturally deaf and offers a variety of services designed to meet the needs of deaf and hard of hearing populations. HDSW also provides information about deafness to the community and can assist other organizations and agencies in making their programs accessible to people who are deaf and hard of hearing. To request an interpreter online, please fill out this form. Communication between individuals who are deaf or hard of hearing often requires a sign language interpreter. HDSW provides interpreters for many situations: educational, medical, legal, occupational, cultural, etc. Interpreting services are available on a twenty-four hour basis. All interpreters employed by HDSW are members of the Registry of Interpreters for the Deaf, Inc.
A significant function of HDSW is developing public awareness and acting as an advocate in the interest of persons who are deaf and hard of hearing. In order to improve interaction between persons who are deaf and hard of hearing and the community at large, HDSW offers information and/or training that assists the community by helping the general populous to understand the impact of deafness on one’s life. HDSW assumes an advocacy position in areas pertaining to existing and pending legislation, public service programs, and any other matter influencing the well being of individuals who are deaf and hard of hearing. This service provides the opportunity for persons who are deaf and hard of hearing to meet with an attorney and discuss their legal concerns and questions. A sign language interpreter is present to facilitate communications. If legal representation is required, appropriate referrals are made. This includes a wide range of services provided to persons who are deaf and hard of hearing who need assistance with activities of daily living: filling out forms, making telephone calls, budgeting money, opening bank accounts, using public transportation, purchasing a home, filing income tax, obtaining a driver’s license, obtaining insurance, borrowing money. Persons who are deaf and hard of hearing are given information about or referred to government and community programs that can assist them with a specific need or issue. HDSW offers classes in American Sign Language to the public. Sign language classes are available on a contract basis for any organization, school, or agency that desires to educate its employees, students, professional staff or members. Instruction is also provided on an individual basis. 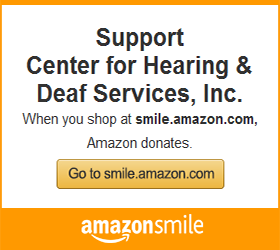 The HDS Assistive Device Center and online store offers a comprehensive array of assistive products for the deaf and hard of hearing. This is also an important resource for professionals serving the needs of the deaf and hard of hearing. The Life Skills Development program serves clients who are deaf and intellectually disabled by offering instruction and experiences that improve daily living skills and foster independence.